Dickinson's Center for Sustainability Education (CSE) serves as a liaison for connecting students, faculty, staff and community members to opportunities in sustainability. CSE creates a truly collaborative learning community which focuses on needs expressed by the physical campus & community, organizational values & administration, local bioregion, and issues being faced by the global community. By interpreting the needs of the College's curriculum, the physical campus, and the local community, CSE supports the development of sustainability courses and course content in all three academic divisions of the college, the creation and synthesis of co-curricular programs and events, student and faculty research projects, and community outreach initiatives. 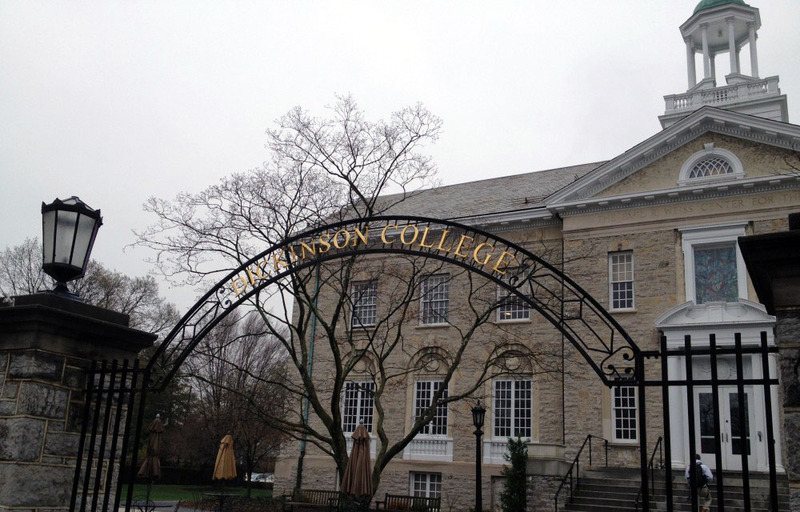 These opportunities facilitate a living laboratory at Dickinson, which requires the application of theory and practice by all community members to solve campus, community and real world problems. The EcoLeague is the only college consortium in the United States dedicated to sustainability education and the active pursuit of environmental studies within a liberal arts framework. Dickinson College is a member of this unique consortium along with Alaska Pacific University, College of the Atlantic, Green Mountain College, Northland College, and Prescott College. The Dickinson Eco-Reps program strives to create a community of faculty, staff and student leaders in sustainability who work to empower others to make sustainable changes in their lives and in their communities through peer education, programming, and outreach. The program empowers Dickinsonians to represent and lead a community of their choice to become more sustainable and foster connections. Eco-Reps form a network of leaders that work together to create a sustainable campus. Teaching staff and faculty at Dickinson College may apply for funding to develop sustainability education: curriculum development, professional development and student-faculty research. Projects must enhance sustainability-related learning across the curriculum and promote engaged citizenship for sustainability. The Dickinson Green Devil Certification program is an educational self-assessment tool that helps encourage all Dickinsonians to engage the world sustainably by thinking critically, reflecting on everyday choices and advocating for change. Dickinson students can get involved in a myriad of ways. Over 45 paid positions with CSE, ALLARM, the Dickinson College Organic Farm, GIS, Facilities Management & Dining Services allow students to work directly with the college to solve problems through experiential education. Dickinson supports faculty working together on our sustainability across the curriculum initiative. 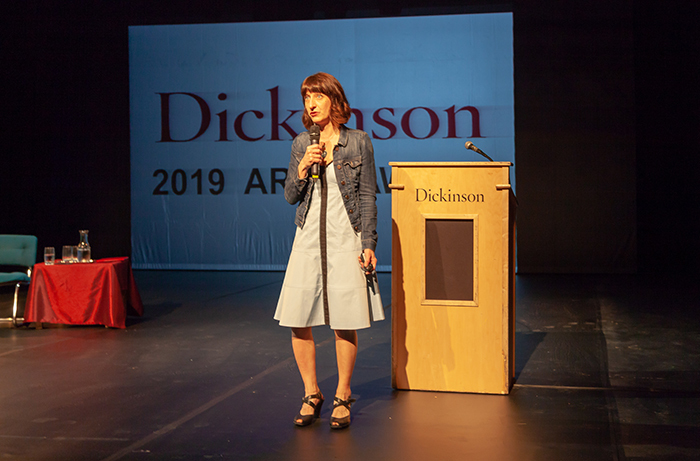 From our annual Valley & Ridge curriculum development workshop to focused study groups on food, water, sexuality, race, sustainability in the humanities, curricular proposals, and living in a world of limits, Dickinson creates a forum for sustainability innovation in higher education. 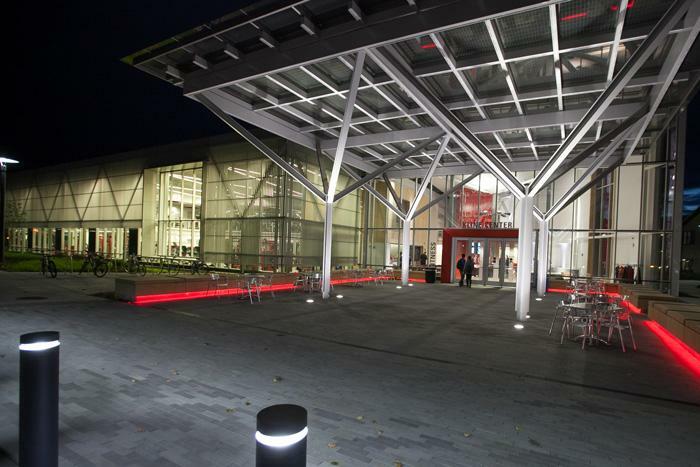 The Kline Fitness Center has achieved LEED Gold status, making it the sixth LEED Gold building on campus and seventh LEED certified project. Students interested in theatre, design and sustainability learn from the champion of green set design, Donyale Werle. Learn to upcycle clothing items in a more environmentally mindful and accessible way. All are invited to come celebrate The Handlebar, its volunteers, and all the successes that have some from this network over the last year!